Do you know who Siri Daly is? I confess, I did not, but that’s probably because I don’t have a chance to watch daytime television (thank you, job that I truly love). If you are able to tune into the morning news shows, then you might recognize Daly from her regular appearances on the Today show. She also has a popular food blog. Last April her first cookbook, Siriously Delicious, was published by Oxmore House. I recently received a review copy from the publisher, which is how I became familiar with Daly’s recipes. I want start by pointing out the subtitle: “100 Nutritious (and Not So Nutritious Simple Recipes) for the Real Home Cook,” because it does a good job summarizing what this cookbook is all about. While Daly and her husband have a life in television, she really does cook for her family, including three young children, on a daily basis. She promises her recipes are family friendly. 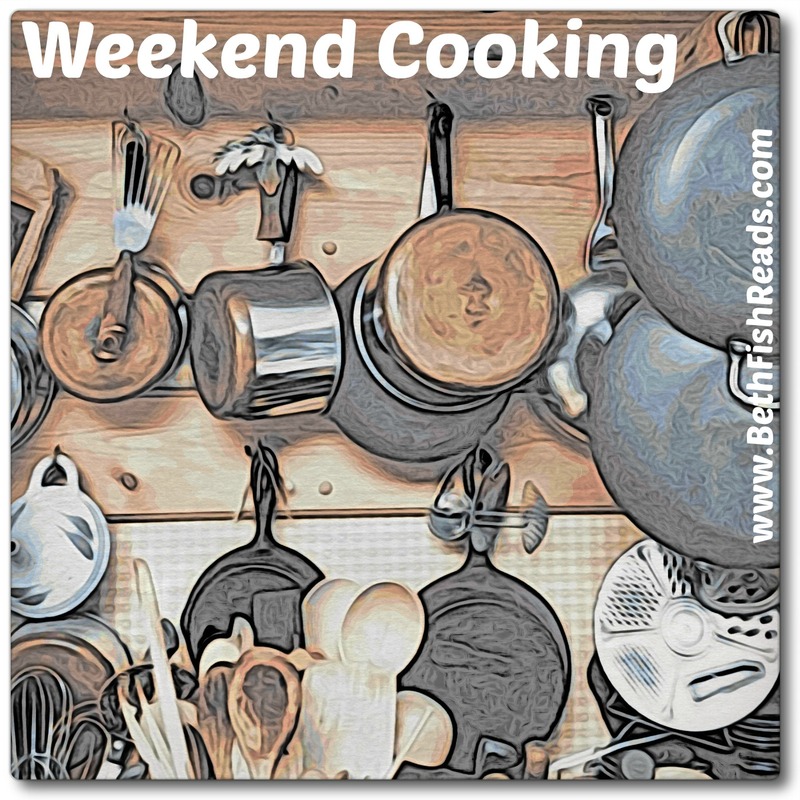 As I looked through Siriously Delicious I found a lot of classic recipes, updated for modern tastes, such as Browned Butter Caramelized Banana Bread, Burrata and White Peach Crostini, Cauliflower Steaks with Gremolata, and Rosemary-Rutabaga Fries. There are also plenty of meat-forward dishes, like BBQ Chicken Nacho Bites, Not-Your-Mama’s Meatloaf, and Greek Lamb Burgers. 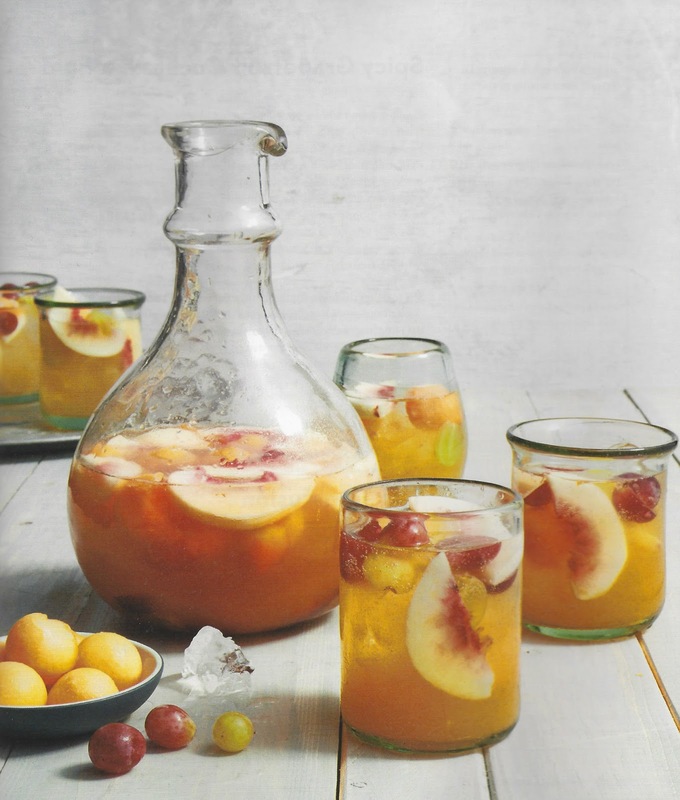 I was drawn to the drinks and snacks chapter, because we’re often looking for something different to serve with drinks on the deck. The Rosemary Almonds and Smoked Whitefish Dip look tasty as do the Spinach Balls (baked with breadcrumbs and Parmesan cheese). The recipes call for easy-to-find ingredients, and the directions are clearly written. Each recipe comes with an estimated “hands-on time” and “total time,” which can be a godsend for new cooks. Daly also provides variations as well as tips when needed. Full-color, beautiful photos show what the final dishes are supposed to look like, which is always appreciated. So who is this cookbook geared to? I think Siriously Delicious would work best for younger cooks, who don’t yet have a good repertoire of everyday recipes. The breakfast recipes would work for anyone who enjoys a relaxed family breakfast on the weekends. For dessert, Daly offers some twists on the classics, such as ice pops with a spinach layer and a Bundt cake with coconut milk. The recipe I decided to share from Siri Daly's Sirisously Delicious is a grain bowl recipe. 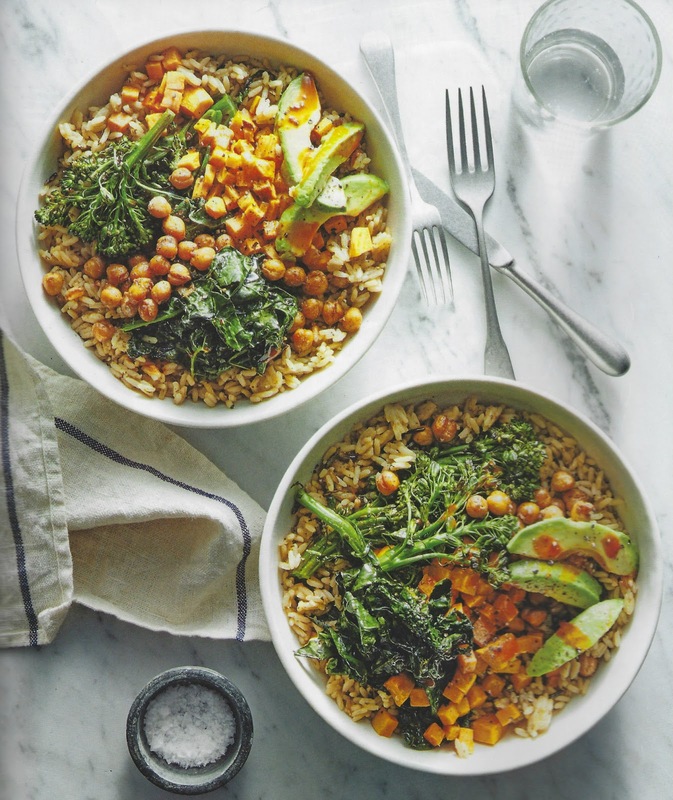 If you've never made a grain bowl at home, this is a good one to start with. If you're an old hand at grain bowls, you may find some inspiration here. Preheat oven to 400F. Place the sweet potatoes and broccolini on a large rimmed baking sheet. Drizzle with 1/4 cup olive oil and sprinkle with 1 1/2 teaspoons of the salt and the pepper. Roast 15 minutes. Stir in the kale and roast until lightly browned and the kale is wilted, about 5 minutes. Remove from oven, cover with aluminum foil, and set aside. Meanwhile, toss the chickpeas, cumin, chili powder, garlic, and 1/4 teaspoon of salt in a large bowl. Heat the vegetable oil in a skillet over medium. 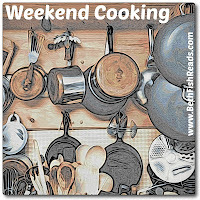 Add the chickpea mixture, and cook, stirring often, until the chickpeas have a nice crunch, 10 to 15 minutes. Divide the rice between 2 bowls. Top evenly with the roasted veggies, chickpea mixture, and avocado. Drizzle each serving with about 1 teaspoon olive oil and (if using) hot sauce. Season with additional salt and pepper. Serve immediately. 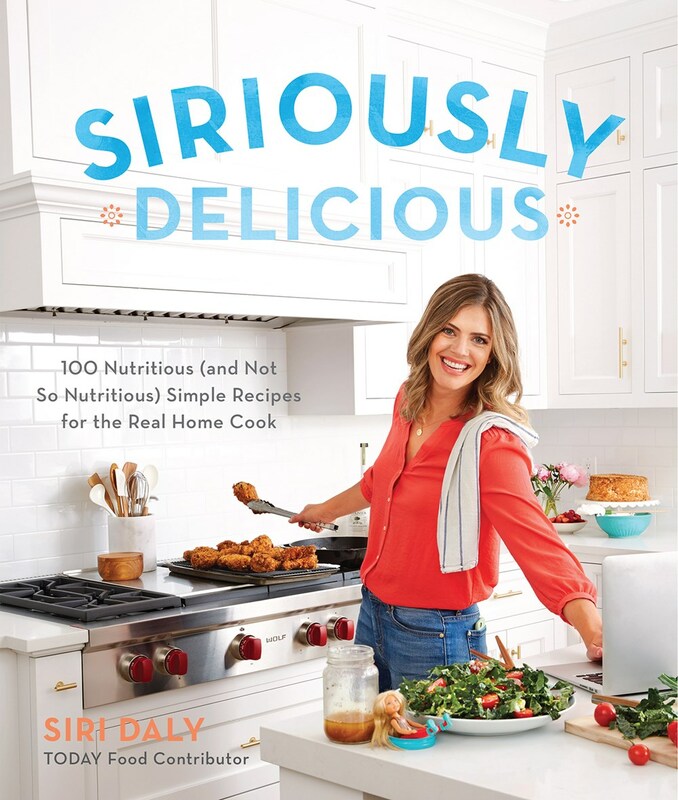 Here's a short video about Siri Daly's Siriously Delicious. I haven’t heard of her either. I like you grain bowl though, its a good unch for us to take to work. This is one of the cookbooks I will probably check it of the library, especially to view those snacks and drinks. Smoked Whitefish Dip sounds like it could be pretty good. Smoked whitefish dip or spread is a wonderful choice for outdoor pre-dinner fun. Our family loves the Costco version, though, so I don't think I'm in the market for a recipe! I'd never heard of this Siri either (just the Hey,Siri character). Although I don't work, I never have time for daytime TV either. I'm a bit skeptical about a TV star who claims to be a dedicated home cook all the time too. But I guess anything is possible. I rarely watch TV so I'm not familiar with Daly either but know quite a few people who would probably enjoy this cookbook. Do not watch any daytime TV, too mind numbingly boring! Did she happen to list the calories for this recipe? @Katy : no, no calories listed for any of the recipes. I use to love my mornings with Today Show. I've not been looking. I guess my morning is spent on the computer, or I get up later in the mornings. The book does look like fun. I'm not familiar with her either but it looks like an interesting book to take a look at. All of the pupus you mentioned sound tasty (as does the drink. Sangria, maybe?) and the Buddah bowl looks like a great dinner choice. Thanks for sharing! I have never herd of either but it looks interesting. I must confess I have never made a grain bowl. Not even that sure that I have eaten that many really. This is an excellent cookbook that has recipes that are neither difficult nor do they use hard to find ingredients. Delicious - yes. Nutritious - some are, some aren't (and there are no nutritional values). There are lots of pictures which, for me, is a “must” if I’m purchasing a cookbook. There are also many personal anecdotes that are both interesting and charming.